It was thrilled to attend the #internationalwomensday2019 event at NEO Exchange last week. 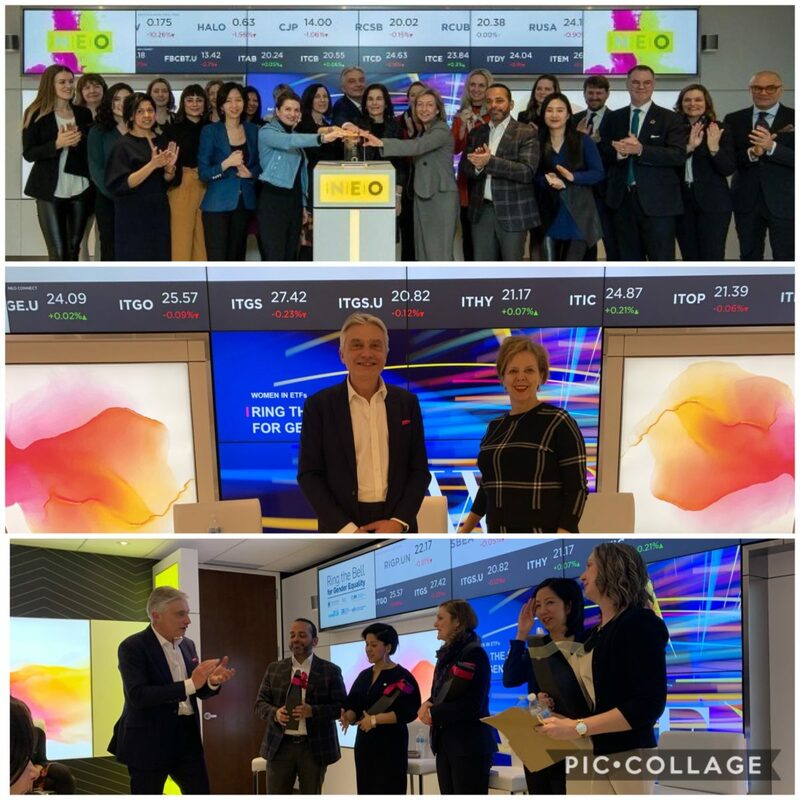 Many inspiring speeches by Jos Schmit, CEO and President NEO Exchange, Anne Le Guellec, Consul General of the Netherlands and Deborah Frame, CFA – Co-Head Women in ETF. Followed by an outstanding panel discussing investing in Gender Diversity. Topics discussed and debated were: women on boards, what public disclosures are required to evaluate companies on GD, and Canadian ETF providers who introduced gender-focused investment products and their performance. Panel participants included: Clare O’Hara, Moderator, Jennifer So, Lindsay Patrick, Florence Narine and Raj Lala. A Special Congratulations to Heather Zordel who was recently appointed Commissioner at the Ontario Securities Commission (OSC)! This week, I spotlight Ann Sperling, Director of Winemaking and Viticulture at Southbrook Vineyards – Niagara-on-the-Lake, Canada. Ann Sperling is arguably leading the charge on organic and biodynamic viticulture in Canada. She has become Canada’s foremost authority. She has implemented organic certification at Malivoire’s Moira Vineyard (Beamsville) in 1999; has transitioned Southbrook Vineyards to biodynamic viticulture and winemaking in 2006, with Pro-Cert and Demeter certification in 2008. Ann has also applied these concepts to various International projects including Sperling Vineyards (British Columbia) and Versado Wines (Mendoza). You have been Southbrook Vineyards’ Director of Winemaking and Viticulture since 2006 – what have been the highlights during your tenure there? There have been many milestones – we are Canada’s first Demeter vineyard, certified in 2008; also being granted Pro-Cert Organics (previously OC/PRO Canada Organic); and in 2012 we were recognized as “Winery of the Year” by InterVin International Wine Awards. When did you first become involved in organic and biodynamic practices? I grew up in Okanagan on the Sperling family farm that has been part of the family since my great grandparents, in the 1860’s. This is where I got my start. In the early 1980’s I started working closely with growers and vineyard managers to make wines, and late in 1995 in Niagara I worked on start-up projects like Malivoire Winery which started organically and eventually biodynamic practices. For the past ten years (at Southbrook) I’ve had a strong connection with the vineyard and the land. What has been your greatest challenge as a winemaker to make organic and biodynamic wine? What really needs to be addressed is that we receive little or no financial support federally or provincially for organic and biodynamic farming. We are all self-motivated and find solutions ourselves – this is a good reflection on our team! We are very happy to be a sample. There are some ongoing developments with Niagara Collage – they have a good understanding of what we are trying to do. Are all the vineyards in Southbrook organic/biodynamic? Southbrook’s first 75 acres were certified by Pro-Cert Organic Systems Ltd. (then OC/PRO Canada) in 2008. Our entire 150-acre property is now certified organic, including the hay and our sheep. Southbrook currently has one Demeter-certified biodynamic 75-acre vineyard. The last two winters were the worst for growers and the production was small. What we have come out with for 2016 is not an organic wine, but a “Seriously Cool” label which is an entry level, offering offering Seriously Cool Red and White. What are some of the most common misconceptions about organic/biodynamic wine? 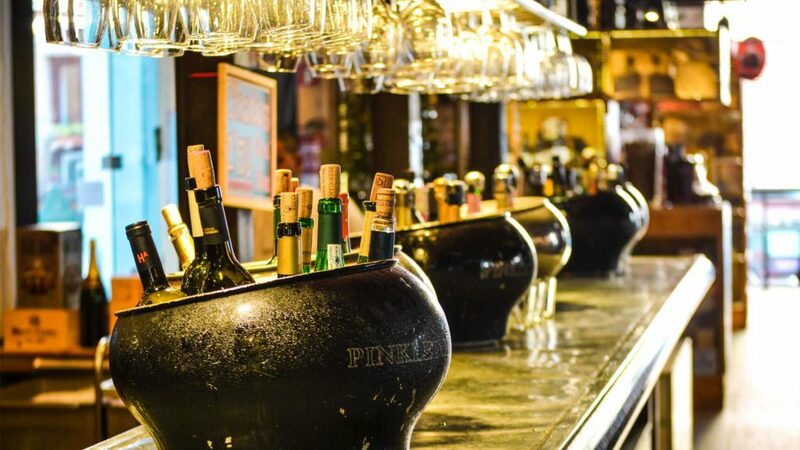 Consumers are now eating, drinking and recognizing the benefits to a healthy lifestyle and they don’t resist reaching for these products (biodynamic and organic wines and foods). It’s been positive and there has been an increase in sales. Are you finding any challenges related to climate change and global warming? Its been difficult to manage the radical swings in temperatures; especially the last two winters in a row. How closely do you work with the vineyard manager and team? Being Southbrook’s Director of winemaking, I oversee 150 acres of farm animals, forest and vineyards. I work closely with Scott Jones (Vineyard Manager) to oversee the activities; to see that they meet the standards, with the purpose of making the best wine possible. We’ve been working together for ten years. What are your winemaking goals in the next year or two? I also manage a winery with my sister, her husband and my niece in British Columbia; also own a small organic vineyard with my husband/winemaker, Peter Gamble in Mendoza. I’m looking at stylistically more age-able wine; producing clean fruit; watching current trends; creating elegant wines with more texture, and whole-cluster fermentation in all three locations. I don’t…. but, I do have some flexibility at Southbrook. With travelling to three different places my children, and husband Peter Gamble understand my work. My husband works in the same industry – we help each other out and we are both passionate in what we do. What advice would you give to young women who want to pursue a career in wine? Women have always been involved in the wine industry and they have had many challenges along the way. 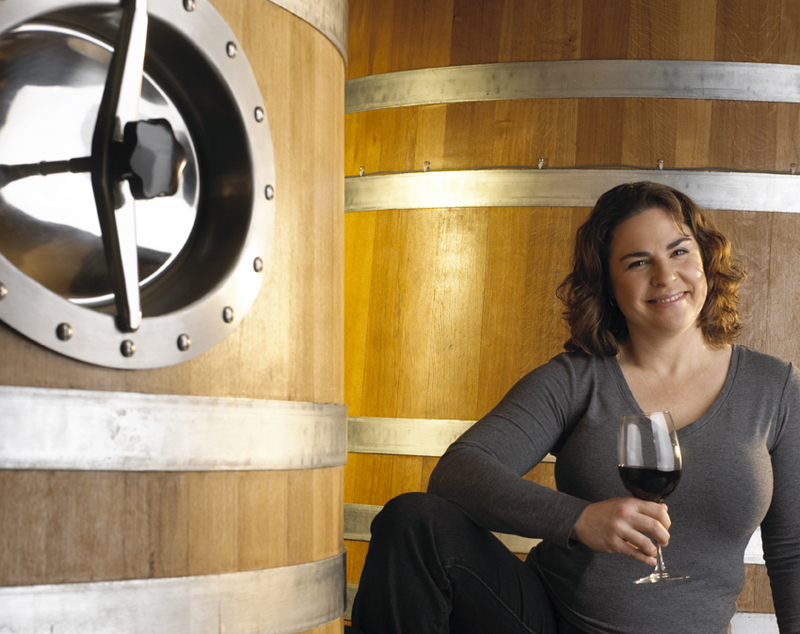 Nowadays women have opportunities at every level: winemaker; managing a vineyard; and education. There are lots of opportunities with lots of like-minded people. You do have to put in lots of time and just wait for the right opportunity to advance to the next level in your career! 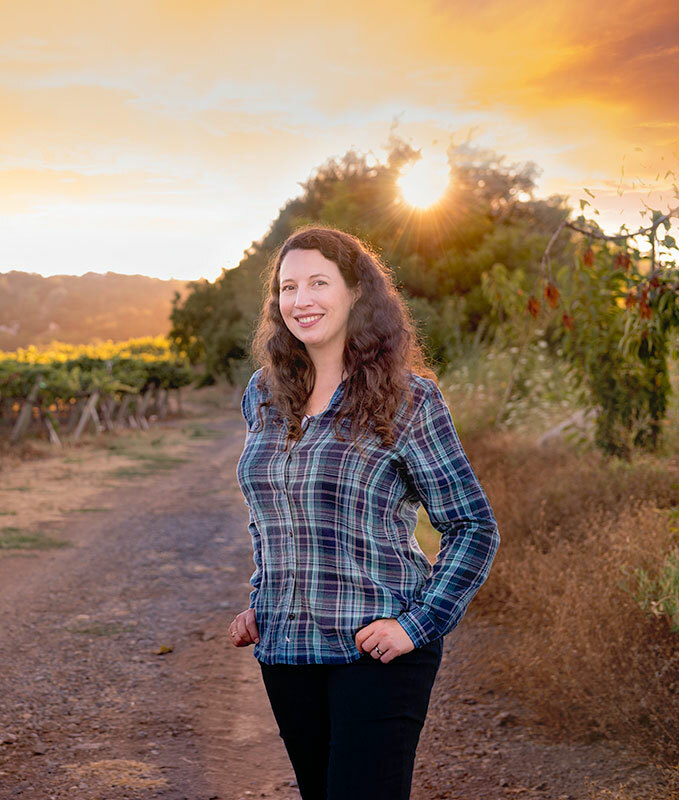 This week, I spotlight Elizabeth Grant-Douglas, Director of Winemaking at La Crema Winery – Sonoma, California. It’s a Jackson Family winery and is located outside of Santa Rosa, Sonoma County, California. For over 35 years, the family-owned winery focused exclusively on cool-climate coastal appellations. La Crema is currently leading the way on sustainable agriculture, with early certification as a sustainable winegrower, and being named and recognized as “The Green Company of the Year” by the beverage industry. Elizabeth’s interest in winemaking grew out of an early passion when she gained her initial experience alongside her parents, who were hobby winemakers, in the basement of their Niagara Falls home. Now Director of Winemaking at La Crema, Elizabeth’s unique training in cool-climate oenology has given her the patience and practice required to produce award-winning Chardonnay, Pinot Gris and Pinot Noir varietals. Initially studying Economics at the University of Waterloo, Elizabeth shifted her career studies to Brock University’s Cool Climate Oenology and Viticulture program. You joined La Crema as an enologist in 2001, became Winemaker in 2010, and promoted to Director of Winemaking in 2013 – what have the highlights been during your tenure? Watching the evolution of the brand from 2010 to now, and adding new vineyards in Oregon. The wines have also become more interesting and more complex – very exciting! I’ve been with La Crema for fifteen years and it never gets dull. I manage five teams with a total of eight. I work with the teams from pruning to harvest by checking the quality of the grapes and tasting the blends – they all provide me with their feedback. La Crema Winery has integrated some environmentally-sustainable practices. Can you tell me about this? We are very dedicated to sustainability. This is a family business and we look what is best for next generation, in the long term. We try to be as sustainable as possible in every phase of production—not only in the vineyard, but in the winery. We have analyzed all our procedures, and we’re working to be 100 percent sustainable. We are looking at this. There is no consistency – early rain – rain during bloom – there is no pattern. This year we are looking to reveal our first “sparkling wine” from Oregon – I’m really excited about this! It will be brut and I’m really looking forward to it. I’d like to ask you about the evolving role of women in the wine world. Historically, women have encountered resistance and prejudice when they enter the wine industry? I’ve had no issues – my generation have been very fortunate as the trail blazers have paved the way. I work with a lot of other female winemakers – we work well together. Barbara Banke, the Chairman & Proprietor of Jackson Family Wines – she supports sustainability and has created a company for families. During the harvest – I make sure I have family dinners with my son and and husband. I take my son with me on weekends into the vineyards – he actually likes grapes! What is your advice for other young women entrepreneurs? Travel as much as possible earlier on in your career. Be fearless – look to find something that excites you!